The Ocean themed and coloured Seaside Villa has a balcony on the top story, 3 rooms with a internal stairway. A cutout figure is included and all the furniture in the house is in 3D. 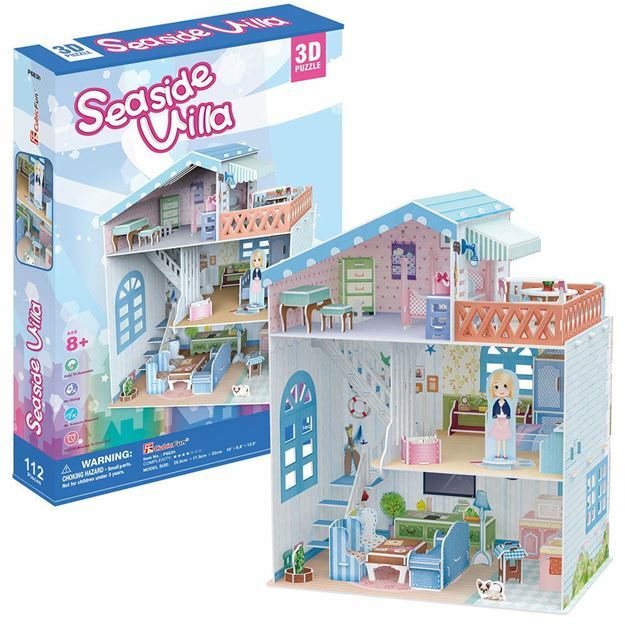 This 3D Puzzle is made of paper and expandable polystyrene foam board, it is easy to assemble without the use of any other tools or glue.No of Pieces: 112, Model Size: 17.5cm x 25.5cm x 32xm. Age: 8+ years.